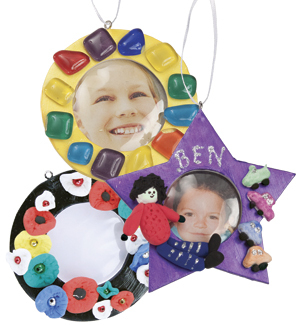 Pre-made photo frames made from clay to decorate as a gift for Mother's Day, Father's Day or any other gift giving event during the year. Ideal for students to present a photograph of themselves in a frame they've created themselves. Paint the Clay Frames with Shimmer Paint and allow to dry. Embellish with beads or sequins for extra interest.